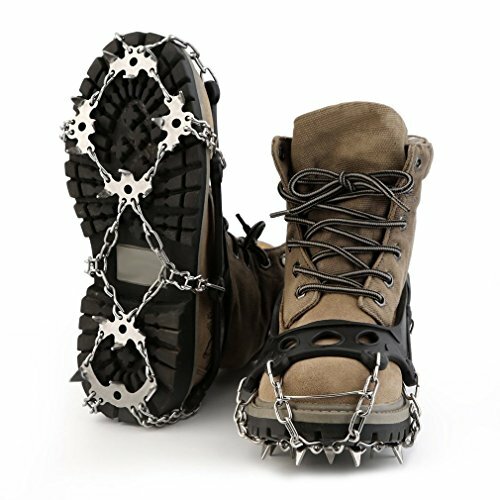 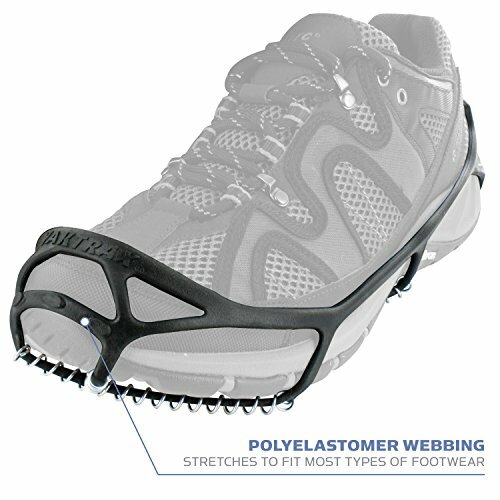 Yaktrax Walk Traction Cleats are lightweight, reasonably priced, and easy to put on and take off, making them a simple solution for reducing the risk of falls when walking on snow and ice to work, school, and even to the mailbox. 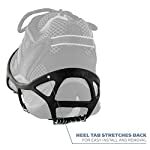 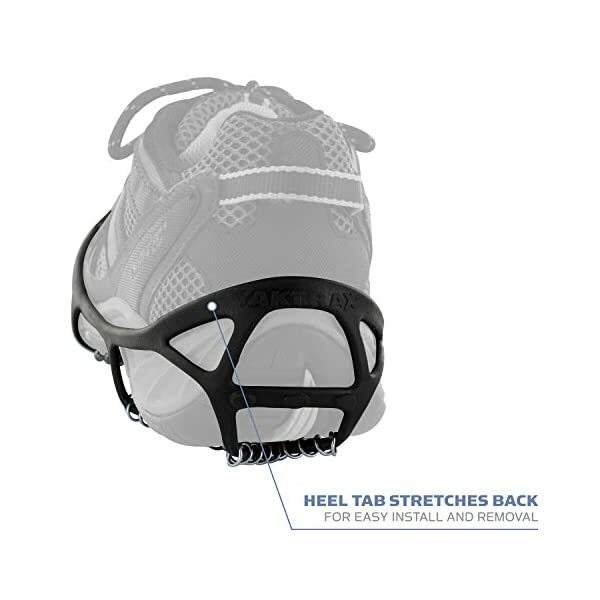 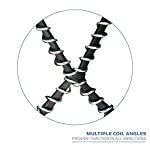 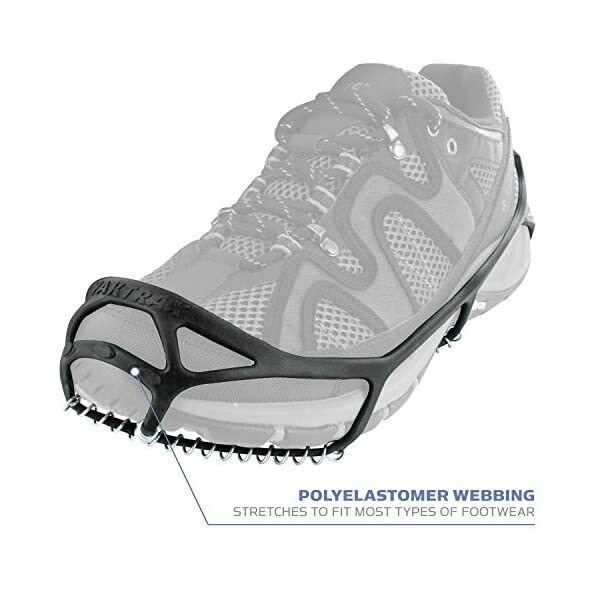 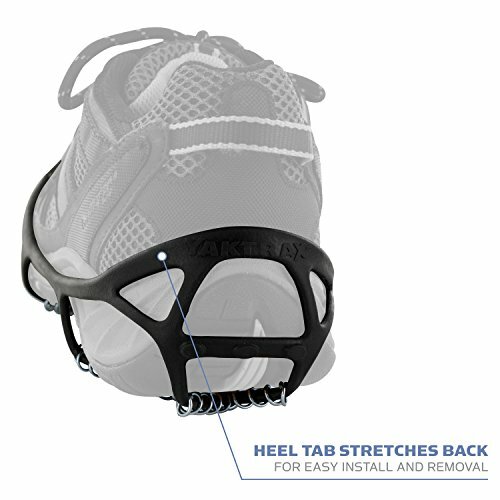 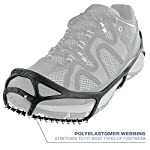 A highly elastic outer band and a tab at the heel assist the cleats slip easily off and on of shoes, making Walk Traction Cleats perfect for pedestrians, professionals and the elderly. 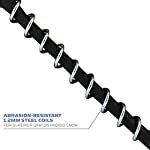 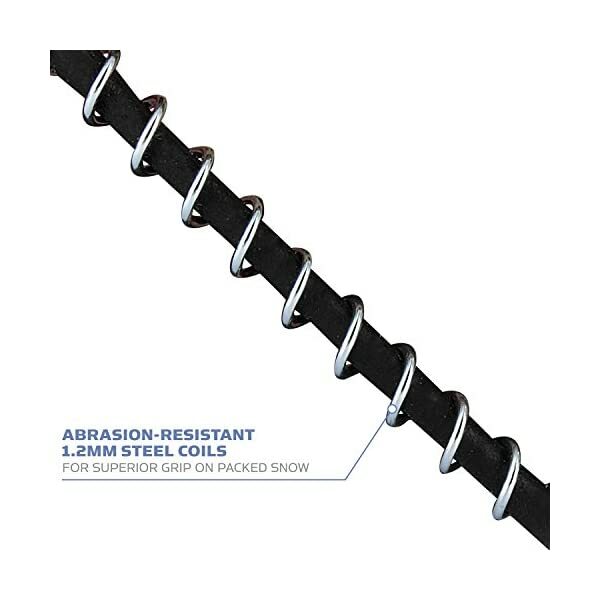 Traction is provided by abrasion-resistant 1.2 mm steel coils which are coated with zinc to assist prevent rust. 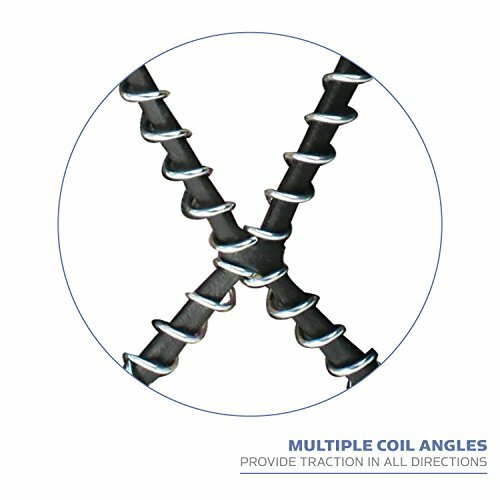 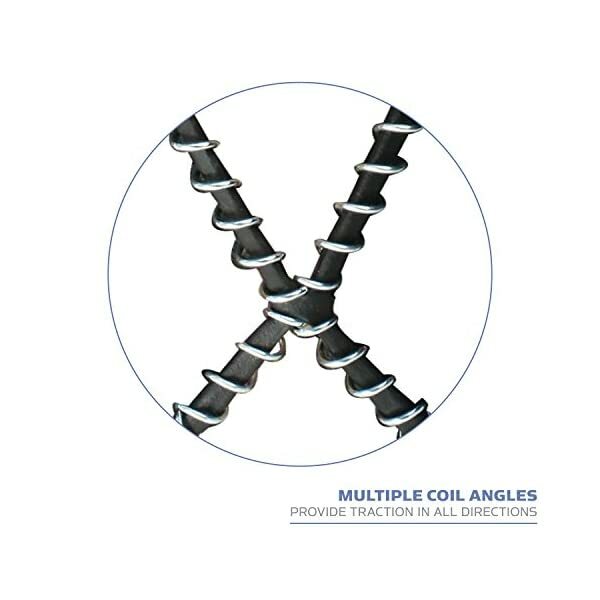 The shaped edge of the coils provide 360 degrees of traction on cold surfaces for all-direction stability. 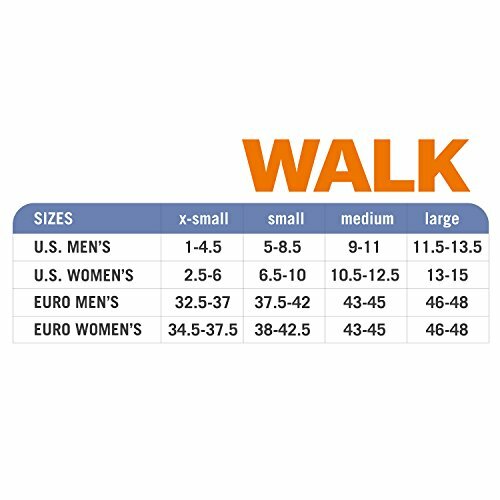 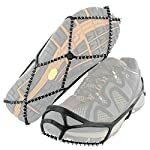 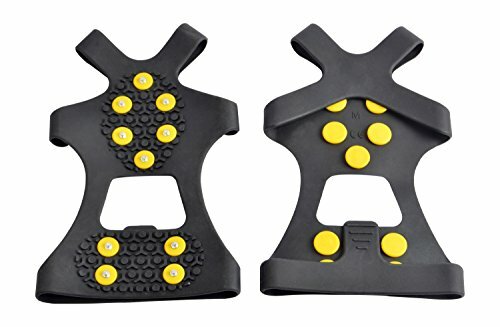 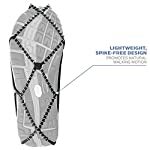 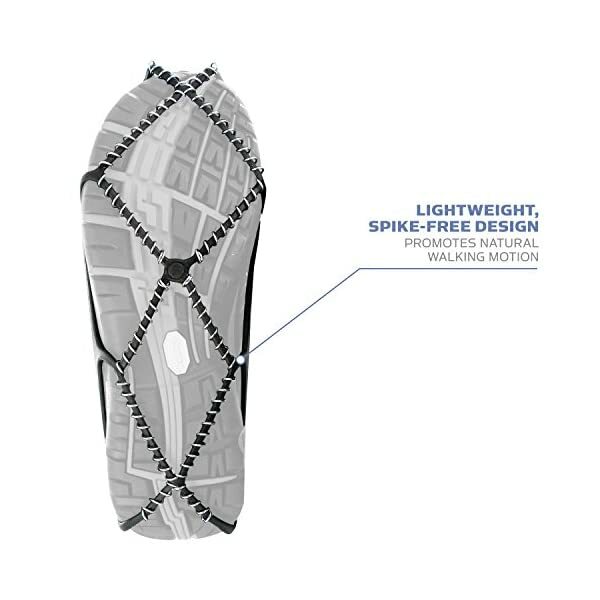 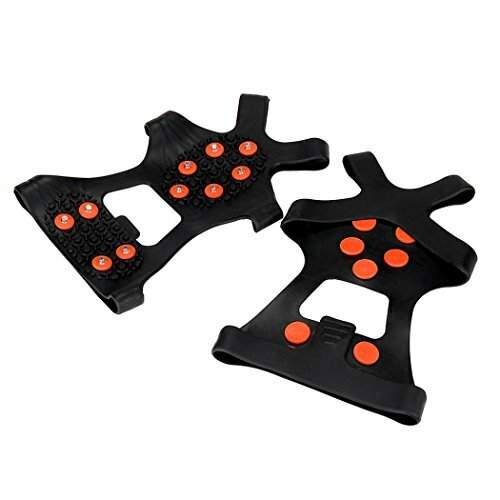 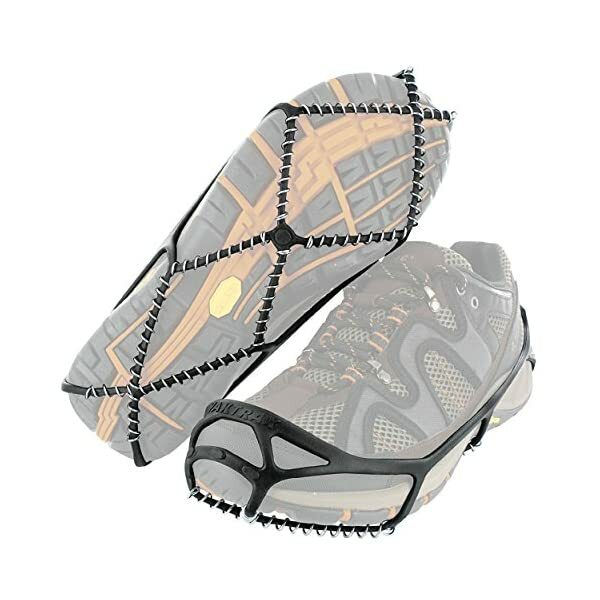 Yaktrax Walk Traction Cleats are tested secure from breakage in temperatures as little as -41 degrees F. They’re to be had in four sizes to fit most shoes: Extra-small for petite sizes (fits shoe size W2.5-6/M1-4.5); Small (fits shoe size W6.5-10, M5-8.5); Medium (fits shoe size W10.5-12.5, M9-11); Large (fits shoe size W13-15, M11.5-13.5). 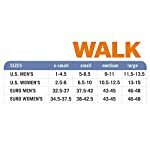 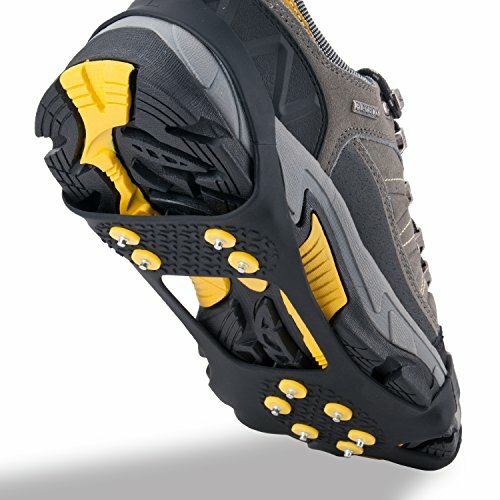 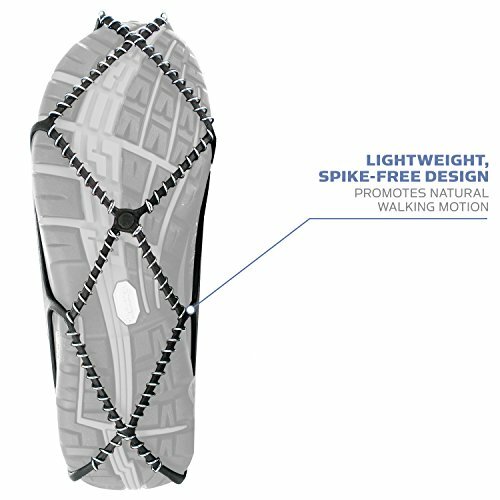 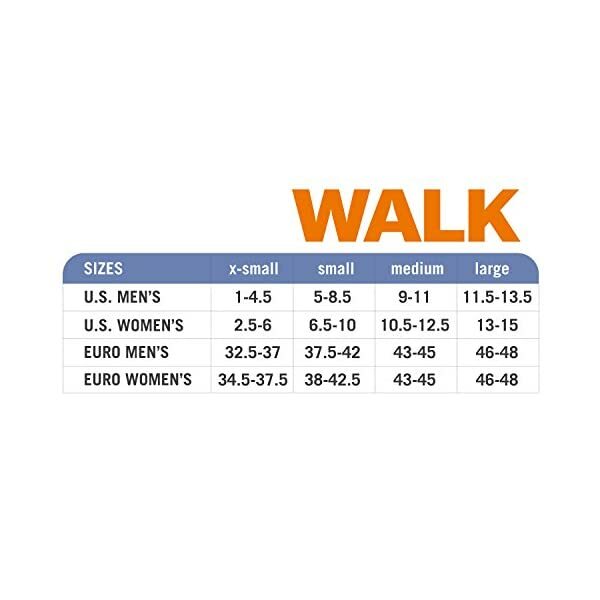 For oversized shoes or boots, Yaktrax recommends purchasing one size larger than your normal shoe size.